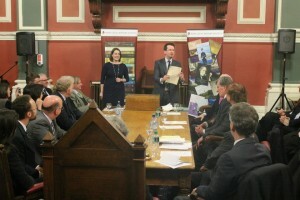 The Irish Legal History Society awards the W.N. Osborough Composition Prize in Legal History. The purpose of this prize is to encourage and promote high-quality research in Irish legal history. This prize is awarded to a member of the Irish Legal History Society who has written a composition that is deemed to have made a significant contribution to the field of Irish Legal History. The winner receives a commemorative framed parchment and €500 . The nomination form can be downloaded here. The competition is open to all fully paid members (including student members) of the Irish Legal History Society with the exception of current members of the Council of the Society. Please submit your composition electronically, via email, to one of the joint secretaries: Mr Paul Egan (pegan@mhc.ie) or Dr David Capper (d.capper@qub.ac.uk). All entries must be word-processed. The annual deadline for the submission of entries is 31 January. 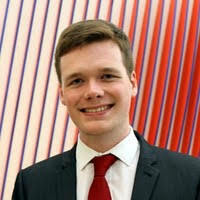 The 2017 Osborough Prize was awarded to solicitor and recent UCD graduate Mr Michael Sinnott for his article “The Appellate Jurisdiction of the Houses of Lords of Ireland and Great Britain: Chief Baron Jeffrey Gilbert’s Role in the Annesley v Sherlock Affair”, published in volume 16 of the University College Dublin Law Review. In 2013 the Society presented the W.N. Osborough Composition Prize in Irish Legal History to Dr Maebh Harding, a lecturer at the University of Portsmouth, for her article ‘The Curious Incident of the Marriag e Act (No.2) 1537 and the Irish Statute Book’.